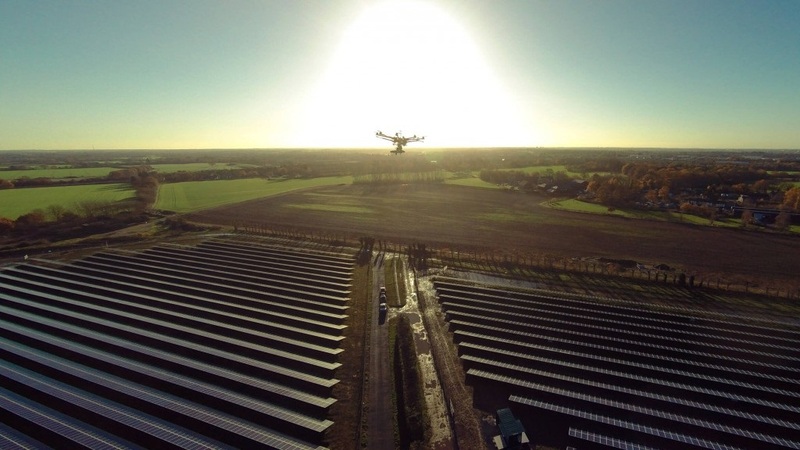 Solar O&M specialist Above Surveying is partnering with the University of Essex to boost the capabilities of its drone-based O&M services. The company is to work with researchers at the university to develop new solutions under Innovate UK’s Knowledge Transfer Partnership programme. The project will last for 24 months, will be part-funded by Innovate UK and managed by a recruited embedded systems designer to be based at Above’s offices in Colchester. It will see Above’s existing drones use intelligent embedded systems and advanced image recognition to identify signs of deterioration in PV panels while also working to increase levels of automation within the service and limit the number of interventions required by operators. The technology and systems developed under the partnership will then be integrated into Above’s operations and an “integral part” of the company’s growth plans. Will Hitchcock, managing director at Above Surveying, said the solar industry was waking up to the “necessity” of thermographic inspections to maximise value. “Our partnership with the University of Essex and Innovate UK will give us the combined expertise to take our innovative UAV technology to the next level, keeping our business at the forefront of this developing market,” he added.